During our day out fishing, not only will you have fun time catching fish, but you can also look at Rockport’s beautiful Whooping Cranes, and relax looking at some of the finer things nature has to offer. What’s so great about Whooping Cranes? 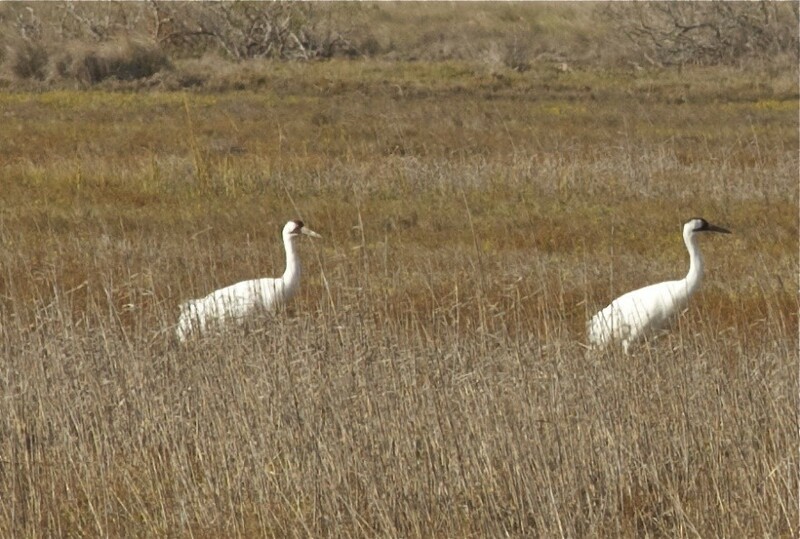 A Whooping Crane is tallest American Bird, and unfortunately an endangered species. It can stand at 5 feet, with a wingspan of 7.5 feet. It makes a wonderful whooping sound that can travel up to several kilometers, and lives up to 24 years in the wild. Just a glance at this beautiful bird will make your trip worthwhile! Give Texas Coast Fishing a call to book your next trip! This entry was posted in Uncategorized and tagged corpus christi fishing, corpus christi fishing guides, fishing corpus christi, fishing guides corpus christi, fishing guides rockport, fishing port aransas, fishing rockport, port aransas fishing, port aransas fishing charters, rockport fishing, rockport fishing charters, rockport whooping cranes, whooping cranes. Bookmark the permalink.